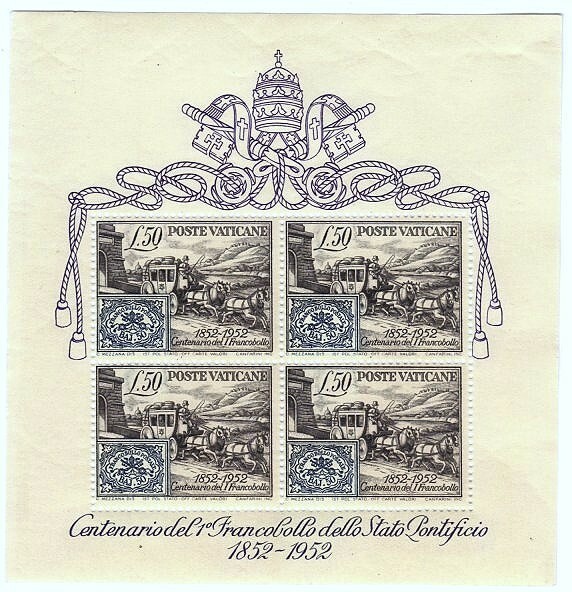 In 1952, the Vatican issued a stamp and souvenir sheet celebrating the centennial of the first stamp of the Papal States (Scott # 155, 155a). While the stamp is relatively common, only 102,000 of the souvenir sheet were issued, and Scott '13 prices the unused sheet at $140.00. 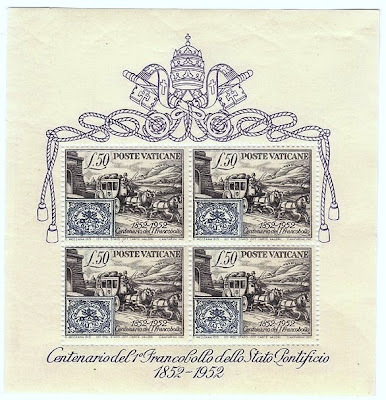 The Papal States (or Roman States) issued stamps from 1852-68, and were among several Italian States which issued stamps prior to the unification of Italy. 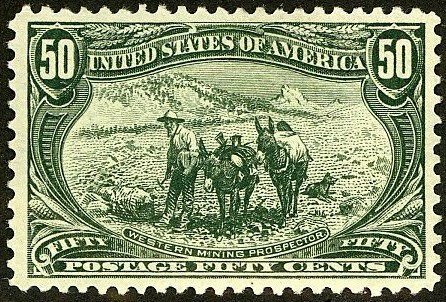 The sheet has multiple market appeal among collectors of Vatican, Italy and Area, Transportation, and Stamp-on-stamp topicals. Also, better Vatican items in general should do well as the number of Catholic stamp collectors increases worldwide, especially since many live in emerging market countries.